In the 70’s Neuro Linguistic Programming were developed by Americans Richard Bandler and John Grinder. Out of several psychotherapies (Gestalt Therapy by Fritz Perls, Hypnosis Therapy by Milton Erickson and Family Therapy by Virginia Satir) they created a new concept. 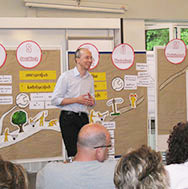 A concept which opens efficient possibilities to get clients into connection with their inner resources. 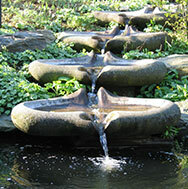 Here you can find a selection of NLP-information in english. 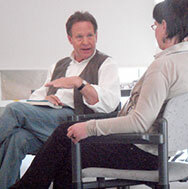 Here is an explanation about Neuro-linguistic programming from Wikipedia, the free encyclopedia. 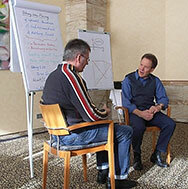 NLP shows people solutions to solve their problems concerning their jobs and their private life. Since its developement NLP has been established in e.g. 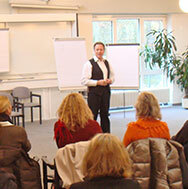 Training, Coaching, Psychotherapy, Medicine and in educational science.